This beautiful soup comes with a little ginger kick. 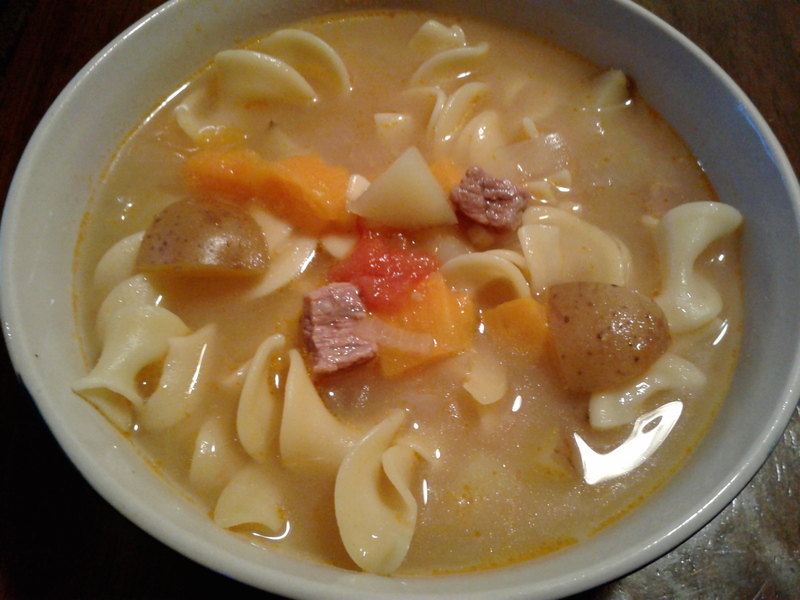 It is a lovely medley of sweet potatoes, redskin potatoes and beef, with an addition of extra wide egg noodles. Enjoy!